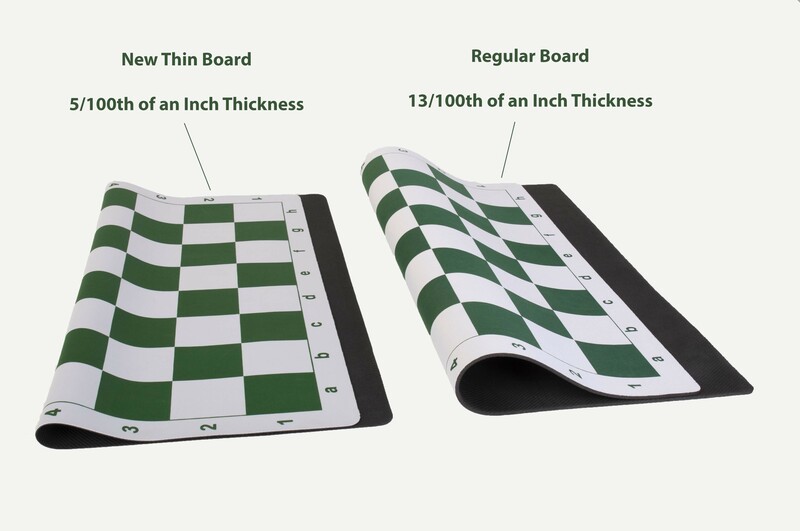 Our Thin Mouse Pad Tournament Chess Board offers the same features as our Soft Mouse Pad Chess Board – guaranteed to lie flat, will not crease and are completely washable – but are extremely thin! 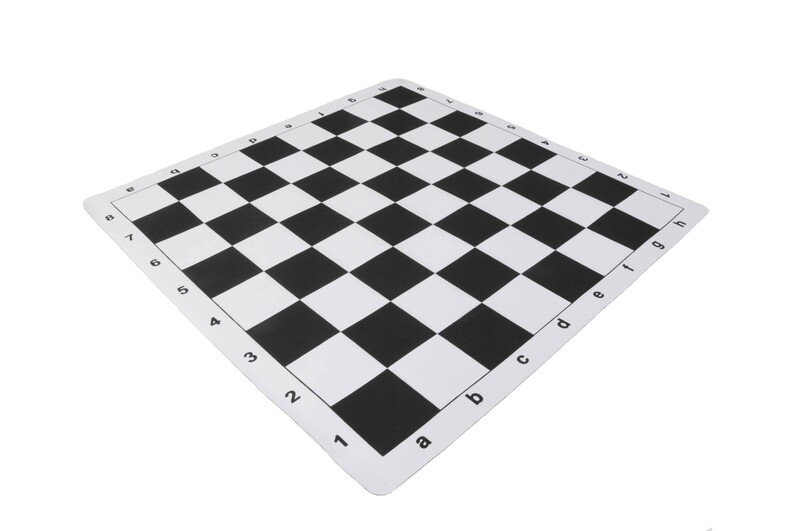 This makes them light weight and very transportable, just roll them up and insert into one of our chess bags. 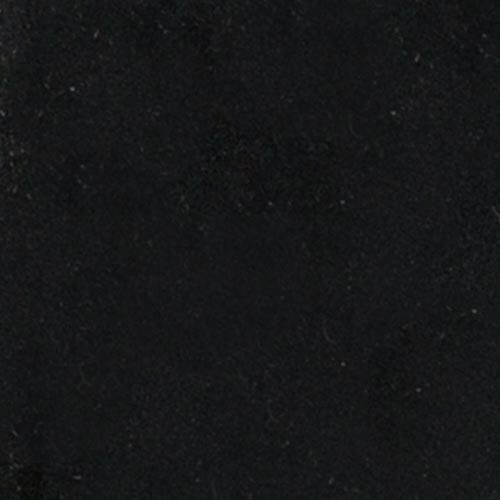 They feature a non-slip, rubberized underside. 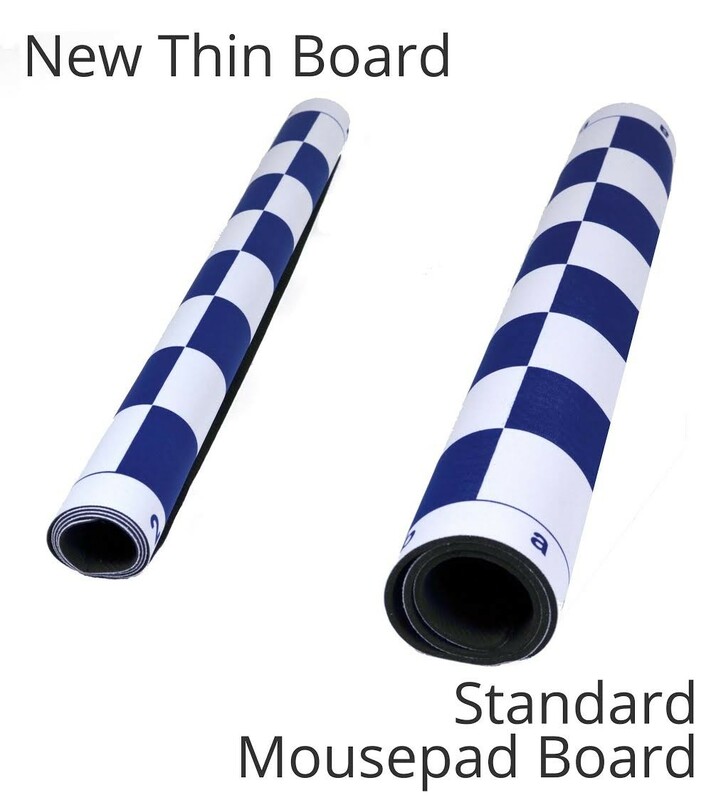 • Boards have 2.25” squares and measure 20” x 20” with rounded corners. 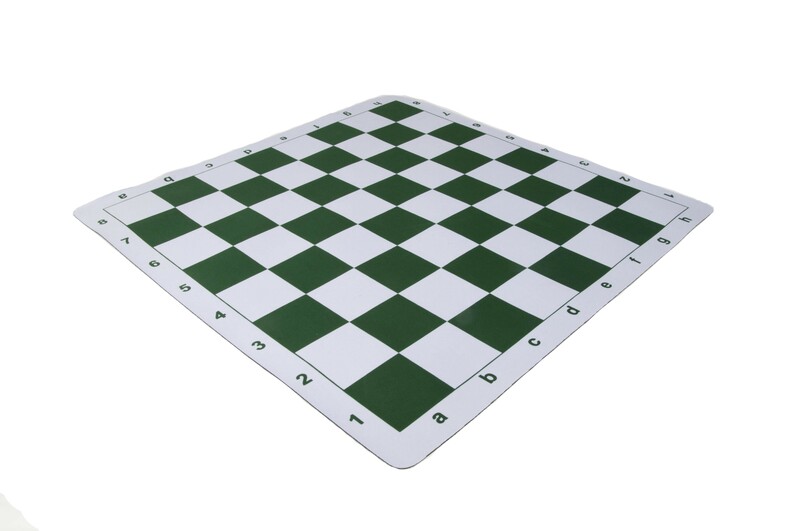 • Meet all US Chess tournament standards. 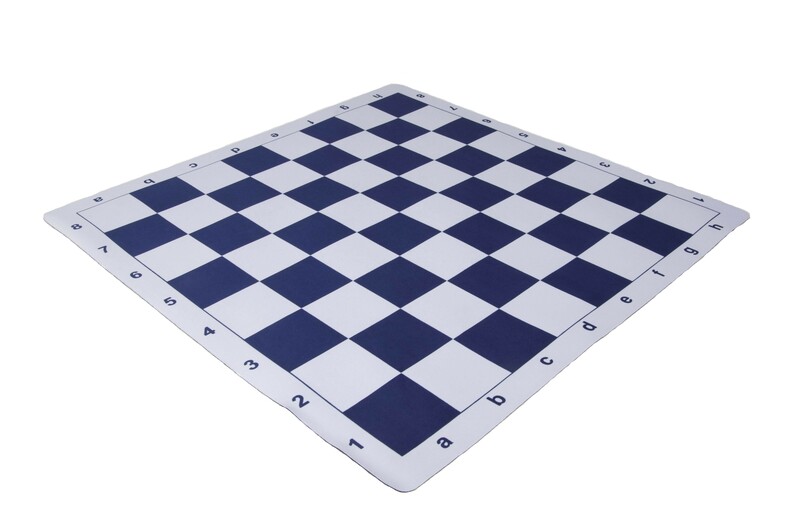 • Fits rolled up in our Standard, Quiver, Superior and Deluxe Chess bag. • Available in Green, Black or Blue.